My background in accounting and business law helps me break down the most complex tax concepts into plain language that clients can relate to and easily apply to their businesses. I also have the experience and resources necessary to handle a broad range of international tax matters for clients doing business abroad. As a business lawyer and CPA, Austin Carlson brings unique skills and perspectives to every area of his practice, including corporate transactions, tax planning and controversy, and trust and estate planning. He helps domestic and international companies, small businesses and individuals structure corporations, LLCs, partnerships and nonprofit entities, achieve their planning goals and successfully resolve tax controversies with the IRS and state taxing authorities. Austin also has substantial experience with the Offshore Voluntary Disclosure Program, including the Streamlined Filing Compliance Procedures and assisting clients with all types of foreign account disclosure issues. Many clients also rely on Austin as their outside general counsel. He advises small to mid-size companies on the entire range of problems and opportunities that impact their businesses, everything from day-to-day transactions and governance matters to dispute resolution, intellectual property protection and strategic planning. When issues go beyond his skill set, Austin connects his clients to other lawyers in the firm or outside professionals who can handle every detail and achieve the best result possible. 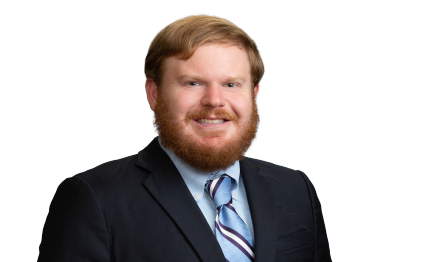 Austin has served as chair of the State Bar of Texas International Tax Committee since 2013, and as a board member of both the Texas Society of CPAs and the Houston CPA Society since 2015. He is also a regular speaker on tax issues at events sponsored by organizations across the state, including the Houston CPA Society, the Texas Society of CPAs, the State Bar of Texas, Keller Williams Realty, the Texas Medical Center Accelerator (TMCx), Rice University Jones School of Business and the University of Houston Law Center.